Social Media campaigns created by Jane with you and for your store and business. More sales without the effort. Assists you forming closer relationships with your customers. Builds customer bonds and loyalty. Seminar: "Cruising Towards Joy- Life With Less Baggage"
Jane has been speaking on cruise ships since 2009 on topics of happiness, success, leadership, oneness and peace. The seminar is illustrated by Jane's jewelry, which is filled with symbolism on these topics. Naturally, the seminar is accompanied with a trunk show. Wildly popular pearl stringing and creativity classes. Jane brings out your customers 'inner designer' using her stringing technique with which students can make a perfect knot every time. 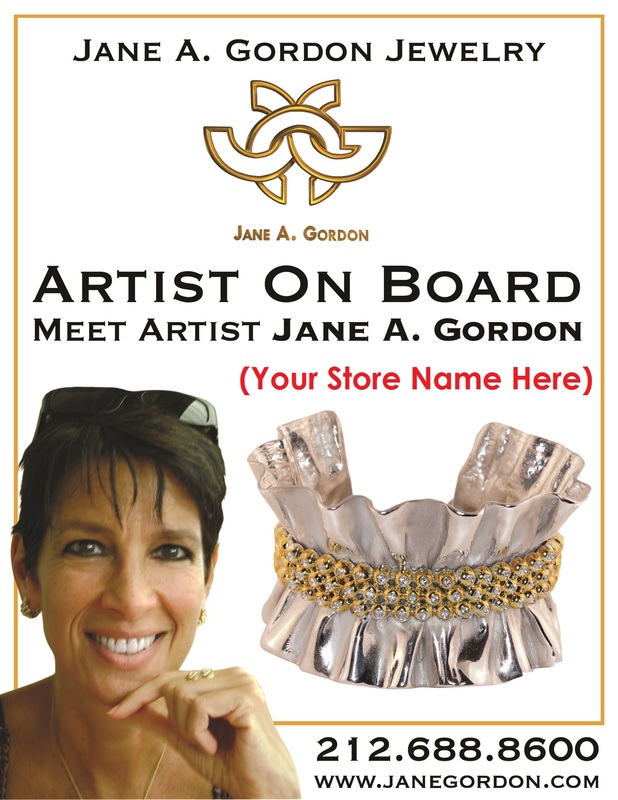 Jane brings a wide assortment of pearls, beads clasps, center pieces and more, teaches about pearl quality and 'de-mystifies' pearls so students can understand pearl qualities, costs, types and can make decisions about what to purchase and create. Participation in fundraisers for your local charities. Beyond unique (yeah a bit of hyperbole) each piece of Jane’s jewelry tells a story, and the stories together share a life philosophy to improve the human condition. “Designs for Life is for Sale on Amazon, and while sharing joy, it also brings sales when the inspirational messages resonate with the reader.